Two former students of mine, Guerson Meyer and Sammy Gebele, have called my attention to Seedmatch, a German crowdfunding site they have successfully used on two occasions to finance their FoodieSquare startup. Guerson y Sammy met in Madrid while taking their MBAs at IE Business School. FoodieSquare was the project they developed as part of their studies, making it to the finals of the school’s annual Venture Lab entrepreneurship competition. FoodieSquare connects lovers of good food with the best products and producers via a service they have created called TastyBox. These include products such as a box with all the ingredients required to make a dish for two people using artisan-made products, a cheese collection, meat selection, or potpourri of chocolates, along with a B2B line for restaurants and gourmet shops. Sales for this year are forecast at €700,000, and growth will for the moment be restricted to Germany. The startup’s team of ten are working in a difficult market: just 1 percent of food sales in Germany are purchased online, although Google anticipates growth of around 500 percent in the coming years in the sector, at the same time as AmazonFresh is set to enter the market there. Through Seedmatch, Guerson and Sammy have now launched new fundraising rounds: in the first, at the end of 2012, they raised €100,000 in just 23 hours. In the second, which finished a few days ago, they managed €450,000 through more than 500 microinvestors, surpassing almost nine fold the funds that they originally aimed to garner, making them the most efficient crowdfunding venture in Europe. 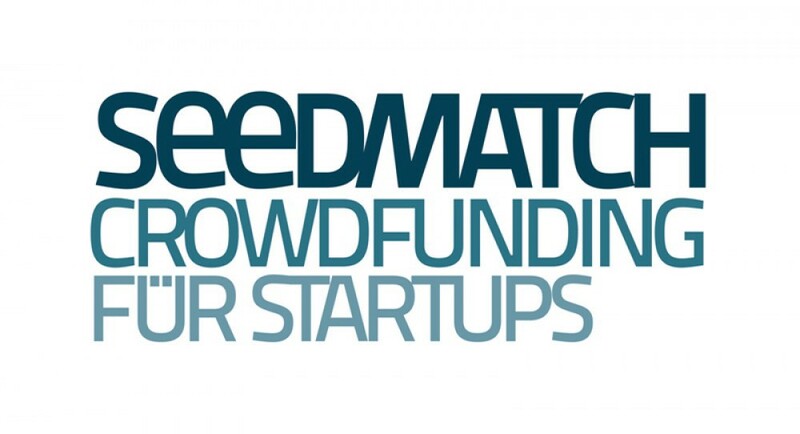 Seedmatch is what we might call the second phase of the crowdfunding phenomenon. Traditional sites, such as Kickstarter, Indiegogo, or ArtistShare, base their model on offering rewards in exchange for a donation. In many ways, it is a kind of pre-sale: put up some money and you will be given access to prizes that range from simple recognition to t-shirts, or the most popular, early access to the product. The model is based on a donation, and accepting the risk that the project could come to nothing. In the case of Kickstarter, the figures are impressive: $804 million have so far been collected for around 50,000 projects, and that can be seen with full transparency on the constantly updated website. The value of platforms such as these is that entrepreneurs can not only finance their projects, but are able to do so without having to hand over any control of the company. They can also be seen as a way to gauge demand for the product, a kind of market research. The second phase of crowdfunding, which will remain complicated in the United States due to the Stock Exchange Commission’s (SEC) rules to protect investors, will involve handing over shares in return for an investment. We are talking here about entrepreneurs showcasing their projects via videos and other information and receiving money in exchange for shares. These deals can be structured in different ways, even including eventualities such as a possible exit by the founders, or a period of maturity to assess like profitability. The idea is directed mainly at people who not only like a project, but who are also convinced of its success to the point of risking putting their money into it. For the moment, Seedmatch’s growth plans are modest: the German startup scene is not as diverse as in the United States, and the Germans tend to be more risk averse than Americans. For the moment, only startups registered in Germany can participate in Seedmatch’s financing rounds, and only investors with a German bank account and tax number ID can take part. The recently passed JOBS Act in the United States should finally make it possible to develop equity crowdfunding, and we should start to see progress over the coming months: the SEC published its new rules on July 24, giving two months for comments and suggestions, although platforms similar to Seedmatch will have to wait at least another year until the JOBS Act Title II is fully implemented. All in all, and even though there are obvious risks involved, this could be the start of one of the most diverse, dynamic, and interesting investment markets ever.